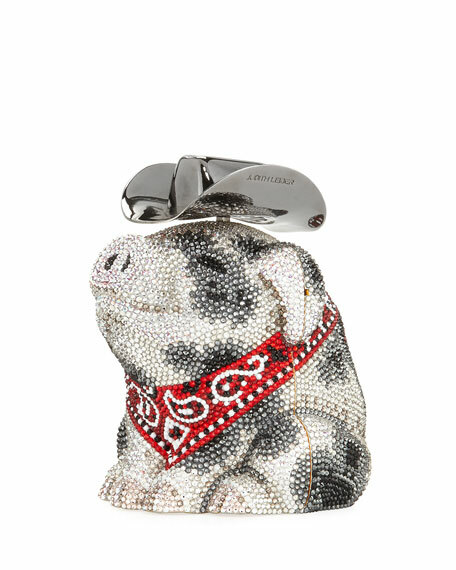 Judith Leiber Couture pig-shape clutch bag. Approx. 5"H x 3.8"W x 3.8"D.
Framed hard-shell exterior, fully beaded with Austrian crystals. 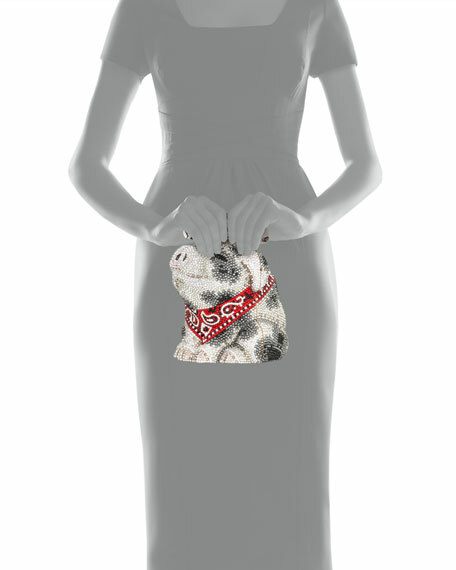 Removable golden chain shoulder strap, 19" drop. 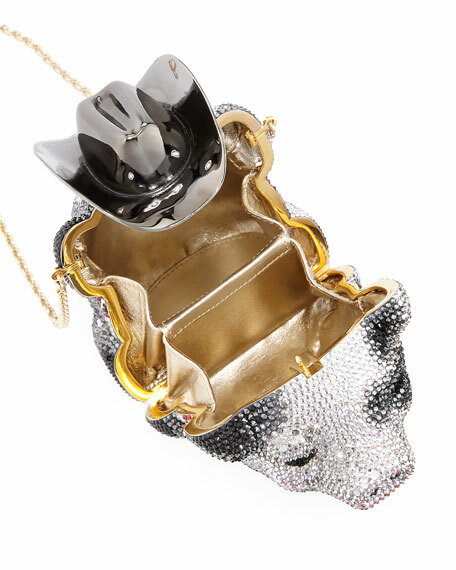 Metal cowboy hat push-lock clasp closure. Interior, divided compartments; metallic leather lining. "Hank" is made in Italy.